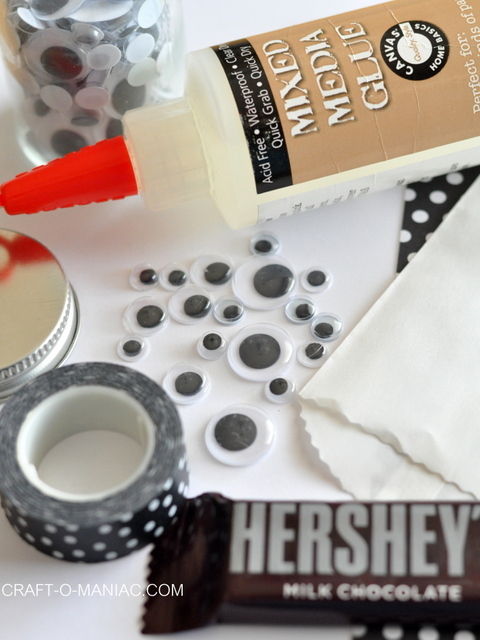 Hello Friends, today I am sharing such a super easy and darling Halloween “Treat” Craft. 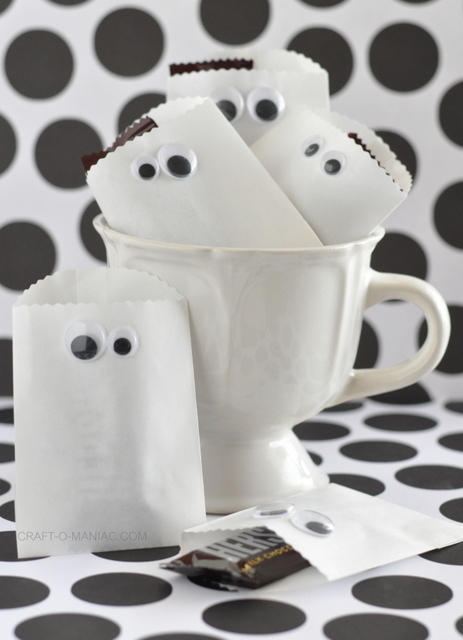 “Paper Ghost Favor Bags!” These darling little paper ghost favor bags would be perfect to hand out to your trick or treater’s, or to have at a Halloween dinner party as favors on your guests plates. 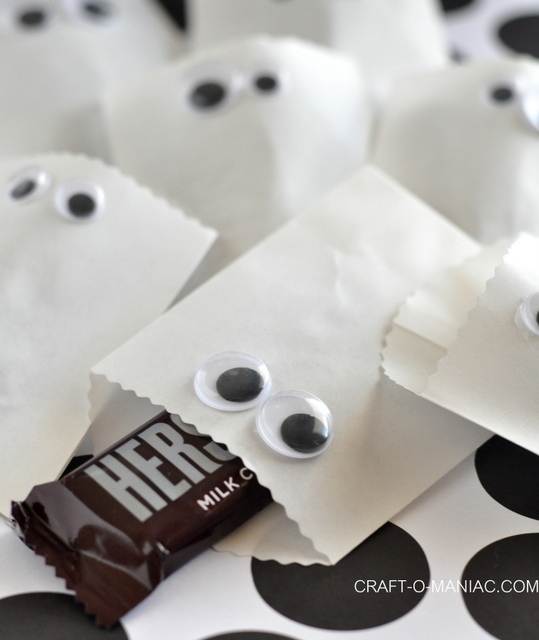 Or they would be cute to take to or have at any Halloween party as favors. 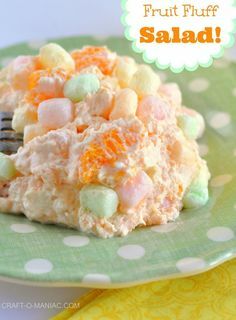 They would also be great to make and take to your child’s classroom party. Or even give them out to your neighbors. These cute mini paper bags are from Canvas Corp.
You can use glue dots, a hot glue gun, tacky glue, or mixed media glue which is also from Canvas Corp. and next to my hot glue gun is my favorite glue! 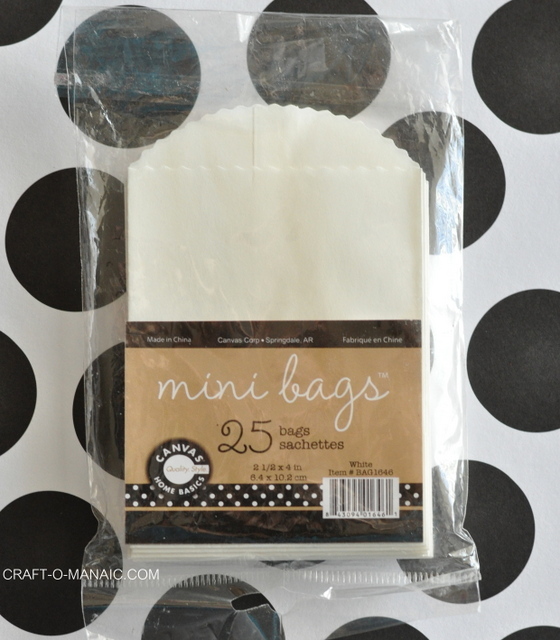 Just take your glue adhesive and add large, medium, or small eyes to your little paper bags. That’s it! 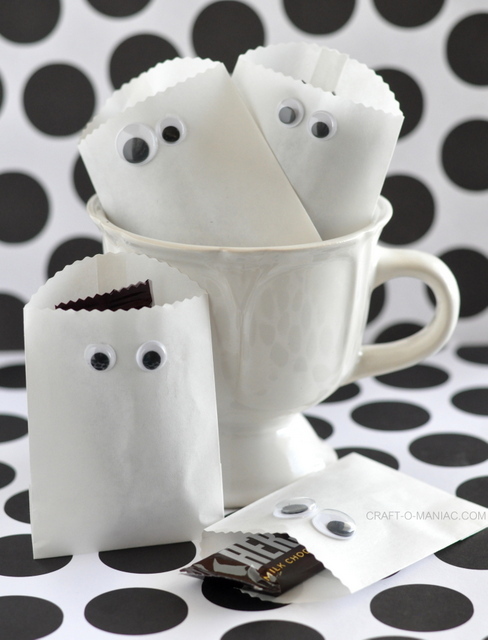 I love these (not so scary) friendly paper ghost favor bags. I sure hope these little ghosts help you all out this Halloween season! 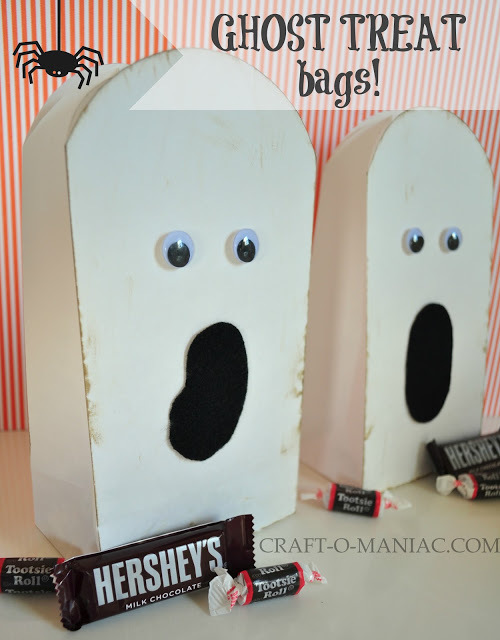 and my larger 10 minute Ghost Treat Bags from last year. Love these ghosties so much! I think I will make them for everyone at work with a little treat inside. Thanks for the inspiration! 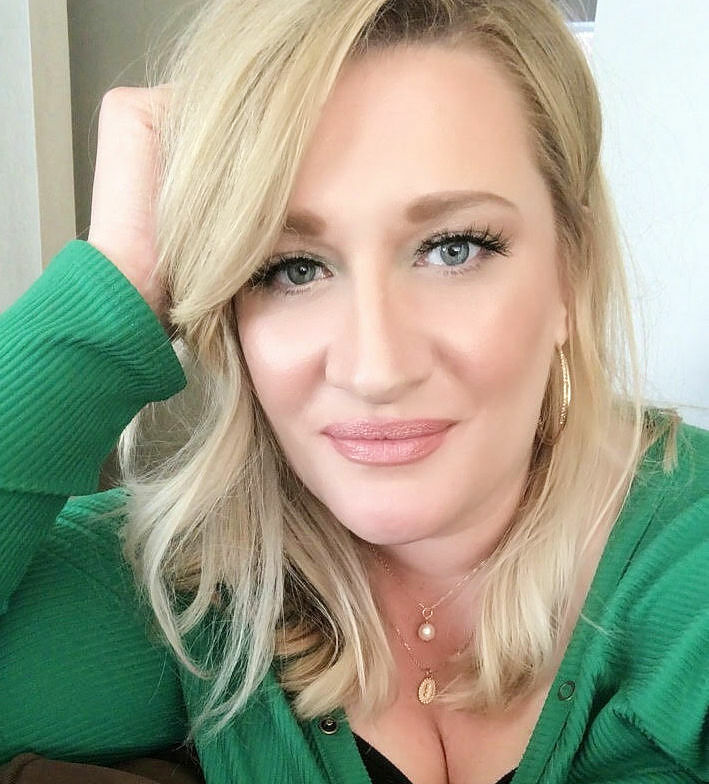 I would love for you to share this at the Krafty Inspiration Thursday Party tomorrow, it goes live at 7 am. so stinkin’ cute. and i love how easy it is — right up my ally, ha! 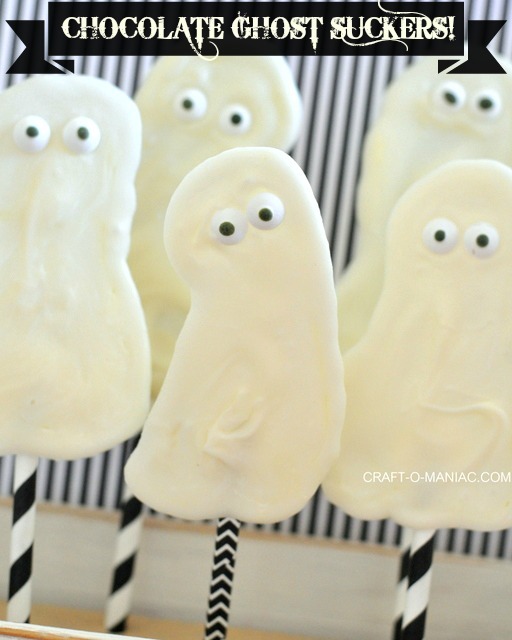 i need to bookmark this so i can remember to do this for my kids preschool halloween treats! I love this idea. so easy and cute! We love this and LOVE your site! Genius! I’m totally doing this for the kids treats at school! Thanks! adorable!! 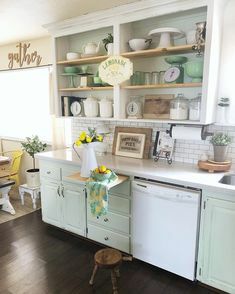 Love this and just pinned! Thank you so much for sharing such a wonderful idea!